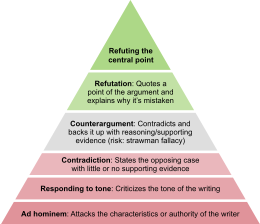 This page in a nutshell: Resolve disputes calmly, through civil discussion and consensus-building on relevant discussion pages. There are several available options to request opinions from editors outside the dispute: other dispute resolution mechanisms include requests for comments, the dispute resolution noticeboard or, after all other methods have been tried, arbitration. Talk page discussion is a prerequisite to almost all of Wikipedia's venues of higher dispute resolution. If you wish at any time to request a Third Opinion (3O), use the Dispute Resolution Noticeboard (DRN), or open a request for arbitration, you will be expected to show there has been talk page discussion of the dispute. Actual discussion is needed; discussion conducted entirely through edit summaries is inadequate. Requests for Comment generally require that at least an effort be made to discuss the matter in question before making the request. Disengaging is particularly helpful when in dispute with new users, as it gives them a chance to familiarise themselves with Wikipedia's policies and culture. As of 22 April 2019, there are 5,845,726 articles on Wikipedia. Focus your contributions on another article, where you can more easily make constructive edits. While Noticeboards, Subject-specific help, and Editor assistance may well help in resolving disputes through increasing knowledge and obtaining outside opinions, they are not themselves dispute resolution processes per se. The order in which the following options are listed is not significant and they can, in general, be used in any order, though only one should be used at a time. The ordering of dispute resolution processes in terms of complexity, experience and volunteer expertise would be: Third Opinion first (if only two editors are involved), then Dispute Resolution Noticeboard, with the Request for Comments option being available at any point in that sequence. Please note that some Wikipedia processes such as Articles for Deletion and Requested Move have built-in resolution processes and are not ordinarily handled via Third Opinion or the Dispute Resolution Noticeboard. If you have taken all other reasonable steps to resolve the dispute, and the dispute is not over the content of an article, you can request arbitration. Be prepared to show that you tried to resolve the dispute by other means. Arbitration differs from other forms of dispute resolution in that the Arbitration Committee will consider the case and issue a decision, instead of merely assisting the parties in reaching an agreement. If the issue is decided by arbitration, you will be expected to abide by the result. If the case involves serious user misconduct, arbitration may result in a number of serious consequences up to totally banning someone from editing, as laid out in the arbitration policy. ^ Third Opinion and Dispute Resolution Noticeboard all have strictly-enforced rules against accepting disputes which are pending in other forums. ^ The Dispute Resolution Noticeboard has mechanisms for rejecting or referring cases if volunteers there feel that a case could better benefit from a different form of dispute resolution. This page was last edited on 22 April 2019, at 14:04 (UTC).